To celebrate Halloween 2017, sculptor extraordinaire Vanessa Ramirez will be releasing this adorably spooky resin pumpkins! 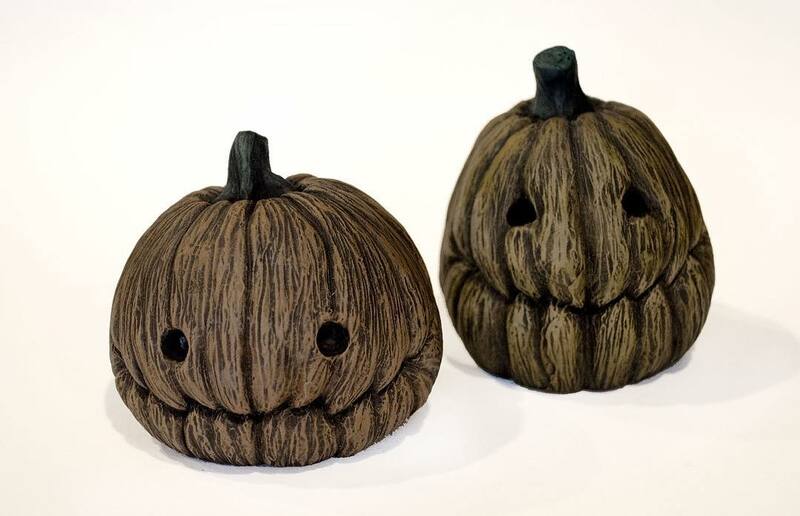 Available in two different styles – Tall or Squat – each Halloween Pumpkin stand approximately 2.25”-2.75” and are hand cast and painted by Vanessa. And don’t worry, these pumpkins won’t go bad and are friendly enough to hang out all year round! Fans can purchase these adorable orange gourds at 1pm PST today, Tuesday, October 31st, at Ramirez’ online store for $40 each.